Saidina Umar Ibn Al Khattab RA elected Abu Musa Al Ashari RA as a governor. When he went to Basrah as governor of the city, he called the inhabitants to a meeting and addressed them: "The Amir al-Muminin, Umar RA has sent me to you to teach you the Book of your Lord – Al Quran and the Sunnah of His Prophet and to clean your streets for you." People were taken aback when they heard these words. They could easily understand that one of the responsibilities of a Muslim ruler was to instruct people in their religion. However, that one of his duties should be to clean streets was something new and surprising to them. illustration only: Battle of Tutsar, against the Persian. Who was this governor of whom Rasulullah's grandson, Saidina Hasan bin Ali RA , said:"There was no rider who came to Basrah who was better for its people than he." His real name was Abdullah ibn Qays but he was and continues to be known as Abu Musa al-Ashari RA. He left his native land, the Yemen, for Makkah immediately after hearing that a Rasul had appeared there who was a man of rare insight, who called people to the worship of Allah SWT and who insisted on the highest standards of morality. At Makkah, he stayed in the company of Rasulullah SAW and gained knowledge and guidance. He returned to his country to propagate the word of Allah SWT and spread the mission of the noble Prophet, Muhammad Rasulullah SAW. We have no further news of him for more than a decade. Then just after the end of the Khaibar expedition he came to Rasulullah SAW in Madinah. 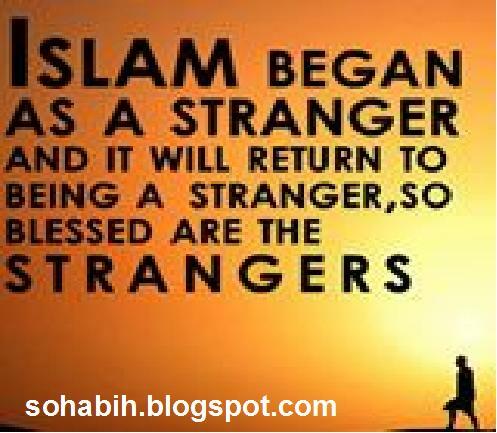 His arrival there coincided with that of Jaffar ibn Abi Talib RA and other Muslims from Abyssinia and Rasulullah SAW welcomed them all with joy and happiness. This time Abu Musa RA did not come alone. He came with more than fifty persons from the Yemen all of whom had accepted Islam. Among them were his two brothers, Abu Ruhm and Abu Burdah. 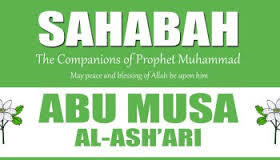 Rasulullah SAW referred to the whole group as the "Asharis". In fact he sometimes referred to all Yemenis as Asharis after Abu Musa al-Ashari. He often praised the group for their soft and tender-hearted nature and held them up to the rest of his companions as a high example of good behavior. He once said of them: "If the Asharis go on an expedition or if they only have a little food among them, they would gather all they have on one cloth and divide it equally among themselves. They are thus from me and I am from them." Abu Musa soon became highly esteemed in the Muslim community. He had many great qualities. He was a faqih endowed with intelligence and sound judgement and was ranked as one of the leading judges in the early Muslim community. People used to say: "The judges in this ummah are four: Umar, Ali, Abu Musa and Zayd ibn Thabit." Abu Musa RA had a natural, uncomplicated disposition. He was by nature a trusting person and expected people to deal with him on the basis of trust and sincerity. In the field of jihad, he have the endurance and skill. Rasulullah SAW said of him: "The master of horsemen is Abu Musa." Illustration Only: Abu Musa RA Going to war on many front. "Abu Musa's insight and the soundness of his judgment did not allow him to be deceived by an enemy in battle. In battle conditions he saw situations with complete clarity and executed his actions with a firm resolve. Abu Musa RA was in command of the Muslim army traversing the lands of the Sasanian Empire. At Isfahan, the people came to him and offered to pay the jizyah (in return for military protection) to make peace and avoid fighting. However. they were not sincere in their offer and merely wanted an opportunity to mount a treacherous attack on the Muslims. Abu Musa RA however saw through their real intentions and he remained on the alert. Thus when the Isfahanis launched their attack, the Muslim leader was not caught off-guard, He engaged them in battle and before midday of the following day, he had won a decisive victory. In the major campaigns against the powerful Sasanian Empire Abu Musa's role was outstanding. In the great Battle of Tustar itself, he distinguished himself as a military commander. The Persian commander, Hormuzan, had withdrawn his numerous forces to the strongly fortified city of Tustar. The Caliph Saidina Umar RA did not underestimate the strength of the enemy and he mobilized powerful and numerous force to confront Hormuzan. Among the Muslim forces were dedicated veterans like Ammar ibn Yasir, al-Baraa ibn Malik and his brother Anas, Majra'a al-Bakri and Salamah ibn Rajaa. Saidina Umar RA appointed Abu Musa as commander of the army. So well fortified was Tustar that it was impossible to take it by storm. Several attempts were made to breach the walls but these proved unsuccessful. There followed a long and difficult siege which became even more testing and agonizing for the Muslims when, as we saw in the story of al-Baraa ibn Malik, the Persians began throwing down iron chains from the walls of the fortress at the ends of which were fastened red-hot iron hooks. Muslims were caught by these hooks and were pulled up either dead or in the agony of death. Abu Musa realized that the increasingly unbearable impasse could only be broken by a resort to stratagem. Fortunately, at this time a Persian defected to the Muslim side and Abu Musa RA induced him to return behind the walls of the fortified city and use whatever artful means he could to open the city's gates from within. With the Persian he sent a special force of hand-picked men. They succeeded well in their task, opened the gates and made way for Abu Musa's army. Within hours the Persians were subdued. In spite of the fact that Abu Musa RA was a strong and powerful warrior, he often left the battlefield transformed into a penitent, weeping person. At such times, he would read the Quran in a voice that profoundly stirred the souls of all who listened to him. Concerning his moving and melodious recitation of the Quran Rasululah SAW had said: "Abu Musa has indeed been given one of the flutes of the people of David." Also, Saidina Umar RA, may god be pleased with him, often summoned Abu Musa and asked him to recite from Al Quran, saying: "Create in us a yearning for our Allah , O Abu Musa." As a mark of his dedication to the Quran, Abu Musa RA was one of the few companions who had prepared a mushaf a written collection of the revelations. Abu Musa RA only participated in fighting against the armies of Mushrikin, armies which tried to oppose the religion of Allah SWT and extinguish the light of faith. When fighting broke out among Muslims, he fled from such conflict anti never look any part in it. Such was his stand in the conflict that arose between Saidina Ali RA and Muawiyah. It is in relation to this conflict and in particular his role as an adjudicator that the name of Abu Musa al-Ashari is most widely known. Briefly, Abu Musa's position appeared to be that of a 'neutral.' He saw Muslims killing each other and felt that if the situation were to continue the very future of the Muslim ummah would be threatened. To start off with a clean slate. the Khalifah of Saidina Ali RA should give up the position and Muawiyah should relinquish any claim to be Khalifah and the Muslims should be given a free choice to elect whoever they wanted as Khalifah. It was of course true that Saidina Ali RA held the position of Khalifah legitimately and that any unlawful revolt could only have as its object the challenging and overturning of the rule of law. However, developments had gone so far, the dispute had become so bloody and there seemed to be no end in sight except further bloodshed, that a new approach to a solution seemed the only hope of avoiding further bloodshed and continuous civil war. When Saidina Ali RA accepted the principle of arbitration, he wanted Abdullah ibn Abbas RA to represent him. But an influential section of his followers insisted on Abu Musa RA. Their reason for so doing was that Abu Musa RA had not taken part in the dispute from its beginning. Instead he had kept aloof from both parties when he despaired of bringing about an understanding and reconciliation and putting an end to the fighting. Therefore, they felt, he was the most suitable person to be the arbitrator. Saidina Ali RA had no reason to doubt the devotion of Abu Musa RA to Islam and his truthfulness and sincerity. But he knew the shrewdness of the other side and their likely resort to ruses and treachery. He also knew that Abu Musa RA in spite of his understanding and his knowledge despised deceit and conspiracies and always wanted to deal with people on the basis of trust and honesty, not through cunning. Ali therefore feared that Abu Musa RA would be deceived by others and that arbitration would end up with the victory of guile over honesty and that the situation would end up being more perilous than it was. Another story of Abu Musa Al Ashari RA. In pre-Islamic times, Abu Musa frequently traveled for business between Yemen and Makkah where his ally was Sa`id ibn al-`Aas. His acceptance of Islam was due to these visits and was inspired by his personal meetings with Rasulullah SAW. He was among the earliest to embrace Islam, and a migrant to Abyssinia under the Rasulullah's instruction.Saidina Ja`afar ibn abi Talib RA was the leader of the first group. A few historians do not include him among the first emigrants probably because although he migrated to Abyssinia, his family returned to Yemen. Illustration Only: masjid the center for Muslimin. When the group was allowed, they migrated again from Abyssinia to Madinah. Upon arrival, they learnt that Rasulullah SAW had left for the Khaibar. They marched on to Khaibar, perhaps eager to participate in the battle. 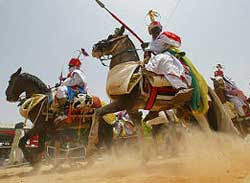 Although the battle was over by the time they arrived, Rasulullah SAW included them among the recipients of booty since they had undergone hardships. Abu Musa RA ranked very high among the scholars of the Qur’an: both as Hafiz as well as Qari. Thereafter, Abu Musa RA fought in all the battles under the leadership of Rasulullah SAW. 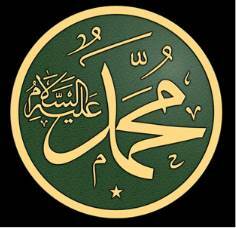 He kept himself close to Rasulullah SAW during the campaigns. Once, he recalled to his son the suffering they had borne: a shower of rain would make their damp woolen garments smell like sheep. Recalling another campaign with Rasulullah SAW , he told his son that six persons had to share one camel by turns. They had developed foot sores and lost their toe-nails. They wrapped their feet with rags which led the campaign to be named Dhat al-Riqa` (rag-covered). However, after narrating this, Abu Musa al-Ash`ari regretted because it was as if he had uncovered one of his good deeds. During another campaign, led by Abu `Amir Ash`ari, his uncle received an arrow on his knee. Abu Musa RA chased the pagan and killed him. He returned and informed his uncle that he had dispatched his assailant. Then he pulled the arrow out. A lot of fluid drained out of the wound. His uncle told him to convey his Salam to Rasulullah SAW and request him to pray for him. After some time, he breathed his last.” Abu Nu`aym records, in his Hilyah, that once Abu Musa RA was on a campaign by the sea route along with others. At night, they heard a voice coming from the sea that Allah has bound Himself that whosoever bore the hardships of a hot summer, while thirsty, shall have water on the day of unbearable thirst (the Day of Judgment). Accordingly, Abu Musa RA used to fast during hot summer days. At the time of the Tabuk expedition, Abu Musa RA and his colleagues were in severe financial constraints; yet they were keen to join. Abu Musa’s colleagues sent him to Rasulullah SAW with the request to provide them with mounts. But Rasulullah SAW said on oath that he would not provide them with any mount. Seeing him in a state of anger, Abu Musa RA withdrew silently. After a little while, Bilal came asking him to report to Rasulullah SAW. When he went to him, he asked him to take six camels with him. But the more interesting part of the story is that when Abu Musa RA brought the camels to his colleagues and narrated the happenings, they were concerned about Rasulullah SAW. Had they led him into swearing? Had he forgotten that he had sworn not to give any mount? Should he not be reminded? So, they went back to him to remind him of his vow, (even if that would have meant to take back the camels). He informed them that if he declares to do something on oath and then acts in the opposite way, (he does so in the wider interest and) for the breach, he expiates. Abu Musa RA recalls that he went to Rasulullah SAW along with two other Ash`aris. The two desired to be appointed governor of Yemen. Rasulullah SAW asked Abu Musa RA to give his opinion to which he replied that he had no inkling of what the two had in their minds (when they came with him). Rasulullah SAW declared that posts were not given to those who desired them. He gave Abu Musa RA the responsibility of governorship of Yemen. At the same time, he also deputed Mu`dh ibn Jabal RA dividing the territory between the two. He ordered them to teach people the Qur’an, make matters easy, spread glad tidings, and not make things difficult for the people. However, he appointed Mu`adh ibn Jabal RA leader of the two. He wrote to the chief of the Yemen that the two were learned and pious persons. He accompanied Rasulullah SAW in 10H on the occasion of Hajjatu al-Wada`. Inspite of such a righteous life, he did not escape accusations leveled by the people of Basra. A man of Anzah tribe nursed anger against Abu Musa RA for not including him in the delegation sent to Madinah with booty. He complained to the Caliph that Abu Musa RA had retained sixty slaves for himself; has kept two baskets of ration, wears two rings, has vested too much power with Ziad ibn Sufyan and that he had rewarded Hutayyaah (the poet) with a thousand coins. Saidina Umar RA summoned him to Madinah and inquired about the charges. Abu Musa RA explained that the slaves were taken as Fidyah and hence distributed among Muslims. Out of the two baskets of ration one was for his own consumption and the other for other Muslims. About Ziad he said that he found him sharp and capable. As for Hutayyah, he paid him to buy his loyalty lest he should carry propaganda against him. In 29H, Caliph Saidina Uthman RA removed him from the governorship and appointed a young man of twenty five. The reason was the suggestion offered by a few people of Basra to entrust responsibility to young people so that they could play decisive roles in Jihad activities. Instead of resenting, Abu Musa RA expressed his complete solidarity by extending him a warm welcome and praised him before the people of Basra. Abu Musa RA deemed it proper, in his own interest as well as in the interest of the newly designated governor, to migrate from Basra to Kufa. 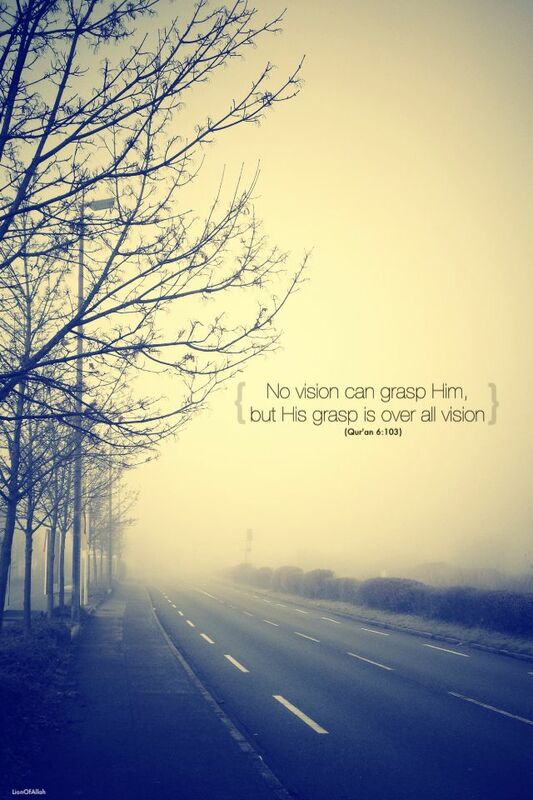 At Kufa, he continued his pursuits – teaching the Qur’an. After a short while, Caliphate Saidina Uthman RA appointed him as the Governor of the town, which he accepted after some deliberation. After Saidina Uthman RA , Saidina Ali RA retained him as Kufa’s governor. But later, as he refused to side with any of the two groups supporting `Ali and Mu`awiyya, he had to relinquish the governorship, which he gladly did. Yet, when the two - `Ali and Mu`awiyya – agreed on arbitration after the Siffin battle, (see article on Saidina Ali RA for fuller details), Saidina Ali RA , despite his difference with Abu Musa RA , accepted him as one of the two arbitrators (the other being `Amr ibn al-`Aas, a nominee of the Mu`awiyyah group. When asked about the wisdom of his choice, Ali declared that Abu Musa was well versed in knowledge. One account says that during arbitrary discussions, Abu Musa RA proposed a third name – that of Abdullah Ibn Umar RA – for caliphate. But no agreement could be reached. Another account – through a weak link, not too strong – says that after marshalling their arguments, the two arbiters agreed to drop the names of both `Ali and Mua`wiyya as Caliph. Accordingly, Abu Musa RA stood up and said, “In `Amr’s and my opinion, `Ali and Mu`awiyya are dropped. You may now elect another person.” After this `Amr rose up and said, “He has dropped his nominees; but I retain my nominee: Mu`awiyya.” Abu Musa RA left very unhappy. History reports that Mu`awiyya had promised on oath to appoint one of his sons as governor of Kufa and another of Basra and all his personal needs would be taken care of, if he accepted to pledge for him. But Abu Musa RA declined the offer. Yet, and following Rasulullah SAW instructions not to live a day without pledge to an Amir, even if a flat-nosed slave, he pledged allegiance to him after Ali. He ranked very high among the scholars of the Qur’an: both as Hafiz as well as Qari. He had learnt the Qur’an direct from Rasulullah SAW. Allah had gifted him with a melodious voice. Rasulullah SAW remarked, “Surely, Abu Qays (Abu Musa) RA has been gifted with a melody from the melodies of Da’ud’s family.” On one occasion, Rasulullah SAW and `Aisha were passing by and heard him reciting the Qur’an. They stopped there and listened attentively. During the Caliphate of Saidina Umar Al Khattab RA, he asked his administrators to send him the list of the Huffaz so that he could increase their stipends. Abu Musa RA informed that (under him) the number of Huffaz exceeded three hundred. Abu Musa RA devoted considerable attention to Hadith. Many Companions narrated from him. Those who cited him include Buraydah ibn al-Haseeb, Abu Umamah al-Bahili, Sayeed ibn al-Musayyib, Aswad ibn Yazid, Abu Wa’il Shaqeeq ibn Salamah, Zayd ibn Wahab, Abu `Uthman Nahdi, Abu `Abd al Rahman Nahdi, Marrah Tayyib, Rabi` ibn Harash, Ibn Mudhrab etc. Out of a total of 360 narrations from him, 59 are in Bukhari and Muslim. He used to instruct his students to memorize the Al hadith instead of writing them down, although he himself had learnt how to write after the Prophet’s demise. He is counted among six Companions as renowned jurists: `Umar, `Ali, Ibn Mas’ud, Ubayy, Zayd and Abu Musa, who used to deliver judgments. He combined in him knowledge, practice, Jihad and spent his time and energy either teaching the Qur’an and Hadith or in rituals and exercising self-restraint, fasting much. He was neither deceived by the world nor did high offices serve to lead him astray. He strictly did his Tahajjud and used to spend the major part of his time in Dzikir. Anas ibn Malik RA narrates that once he was with Abu Musa RA in a journey. When he heard people’s gossip, he said, “O, Anas! What is it I am witness to? 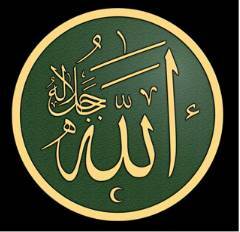 Let us recite our Lord’s glory.” He asked, “O Anas! What has slowed their journey to?” He replied, “Carnal desires, and Satan”. 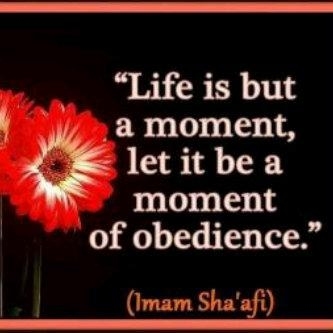 Abu Musa RA said, “By Allah, the world has been made preferable to them and the hereafter delayed. Had they the right vision they would neither delay nor would they deviate”. Allah SWT blessed Abu Musa’s family with sons, grandsons, and great grandsons who became renowned scholars, jurists or narrators of Hadith. Among his sons were Abu Burdah, Abu Bakr, Musa and `Abd al Rahman. Among his grandsons were Sa`eed ibn abi Bardah, Barrad ibn abi Bardah, Dhahhak ibn `Abd al Rahman, all of sound repute. He was short stature, of medium built, sporting a thin beard. When he began experiencing the signs of approaching death, he instructed the members of his family not to make public announcement of his demise, nor to wail loudly or burn frankincense. He instructed that he may be buried as fast as possible. He also instructed them not to build any memorial or tomb. ‘Deep in the sea’ says a great Islamic poet, ‘are gems beyond compare. But if you seek safety, stay on the shore.’ The feat of great men sounds like fables for the unfortunate who would not stake all for their chosen cause. Abdullah ibn Qays RA is a gem of inestimable value, one of the few extra-ordinary gems that gave life to the unique Ummah of Rasulullah SAW. Better known as Abu Musa al-Ashari RA to history, this great personality travelled from his native land of Yemen and embraced the exalted religion brought by Rasulullah SAW. Like all souls yearning for the truth, the mere description of Rasulullah SAW as a man of rare insight and unblemished character calling people to the belief and worship on only one Creator, Allah SWT was enough to prompt him to action in search of the way to Allah. Abu Musa Al Ashari RA had the honour of keeping the exalted company of Rasulullah SAW, bathed in his Nur and the Nur of the Qur’an al-majid and received knowledge and guidance with unequalled zeal and enthusiasm. He thereafter returned to his home country to propagate the word of Allah SWT and spread the virtues, Nur and knowledge of Allah’s most beloved servant . For ten years there was no news of this great sage . He resurfaced again immediately after the Khaibar expedition to the welcoming hand and heart of the exalted Rasulullah SAW who received him with great joy and happiness. His return concided with the arrival of Ja’afar ibn Abi Talib RA and other great Muslims from Abyssinia. The judges (Qadis) in this Ummah are four: ‘Umar, ‘Ali, Abu Musa and Zaid ibn Thabit RA ajmain. Endowed with pure and absolutely natural and uncomplicated disposition, Abu Musa RA trusted people and he is trustworthy too. The enemies of Islam found this great man a nut too hard to crack. His penetrating insight and uncommon soundness of judgment would not allow the tricks of enemies to sail through. Even in such a tense situation like the battle front he would study situation minutely with complete clarity and executed his actions with a firm resolve. Abu Musa RA was a thorn in the flesh of the powerful army of the Sasanian Empire. He was surely outstanding. He was the commander in the great battle of Tutsar where the Angels would acknowledge his courage and sincerity. The Persian commander, Hormuzan, became a mountain that would not give way easily. He withdrew his numerous forces to the fortified city of Tutsar as one last effort to protect his hold on the people and to deprive Islam of this vital in-road to millions of souls. The commander of the faithful, Saidina Umar Faruq RA mobilized powerful hands to confront Hormuzan. Gems and veterans like Ammar ibn Yasir RA , al-Baraa ibn Malik RA , his brother Anas RA, Majra’a al-Bakri RA and Salama ibn Rajaa RA led the onslaught against the Persian commander, Horzuman, under the commandership of Abdullah ibn Qays or better known as Abu Musa Al ashari RA. Tutsar, the Persian fortress was too strong to be taken by storm. Attempts to break into the fortress were effectively checked. The Muslims became more restless when the Persians began throwing iron chains with fastened red-hot hooks from the other end in order to maim and pull the Muslims up dead or alive. Even in this very tense situation, Abu Musa Al Ashari RA remained undaunted and his clarity of purpose remained untainted with anger or vengeance. He later selected a special force of experts at fortress breaking who eventually succeeded in opening the gates for the Islamic army. The Persians were subdued in matters of hours. There was no rider who came to Basra who was better to its people than ibn Qays. Abu Musa Al Ashari RA was a great a hero against the Mushrikeen who were enemies of Allah SWT. However, when fighting broke out among Muslims he returned his sword to the scabbard without joining any of the parties. He became a neutral personality and an unmatched adjudicator for which his skill is respected throughout the Islamic world. Follow the Qur’an and do not desire that the Qur’an should follow you. Perhaps the thirst of the midday heat would prove to be a means of relief for us on the Day of Qiyamah. May Allah SWT increase His favours eternally and without measure on this great Qadi who has served Islam in all fields displaying in the best of ways the greatest love for Allah SWT, His most beloved Rasulullah and the Ummah chosen by Allah SWT as the best, through the rank of Qur’an al-Karim, amin. Of the Qadi of the Ummah ibn Qays RA.